Lauradana of Wedding Creations opted for rustic brown wedding stationery, teamed with a mini wreath tied with twine ribbon. 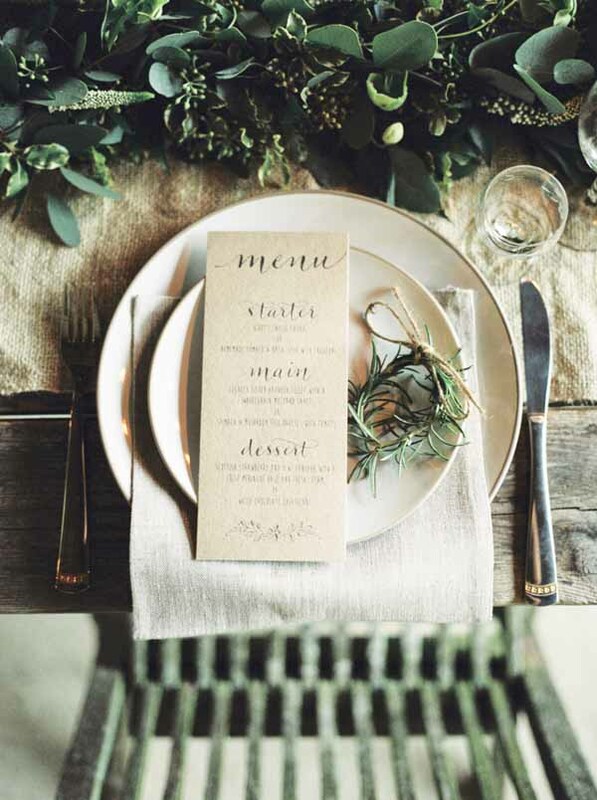 She added a natural linen napkin, which looks effortlessly elegant against the contrast of a gold rimmed plate. Lots of couples have fallen in love with the idea of a greenery garland as an alternative to traditional wedding centrepieces. This works perfectly for long trestle tables and it looks striking against a weathered wooden surface. The team worked in a handful of golden candlesticks for a romantic glow. 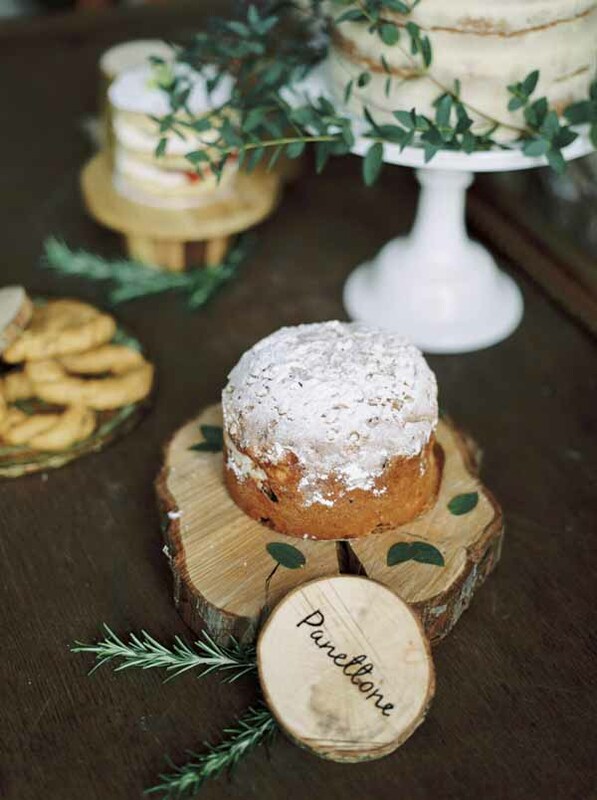 For the seating plan, Laura attached our tree slice gift tags to a roll of twine ribbon using wooden pegs. 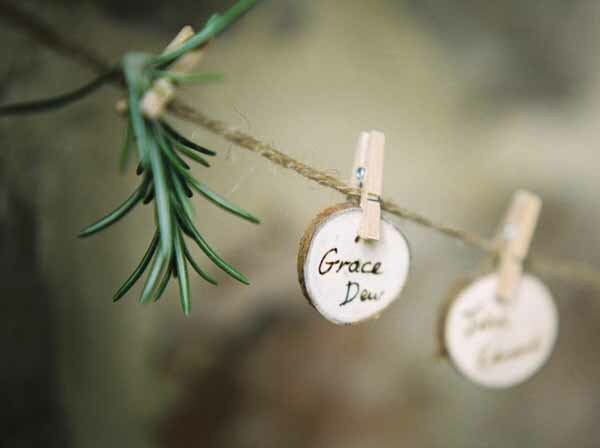 If you love this idea for your own wedding day, all you need to do is write the name of each guest on the tree slice. You can also add a few flowers or sprigs of foliage to the twine ribbon. While you can display this style of seating plan however you choose, the team used an old wheel as their inspiration. 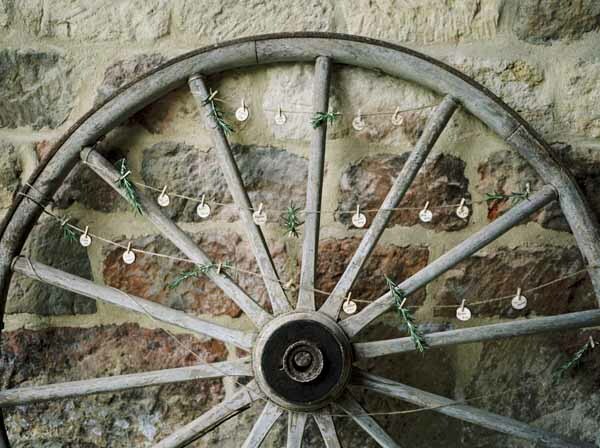 This is the perfect match for an industrial wedding venue or a rustic barn. Your guests will also love the unusual and unique idea for your table arrangements. 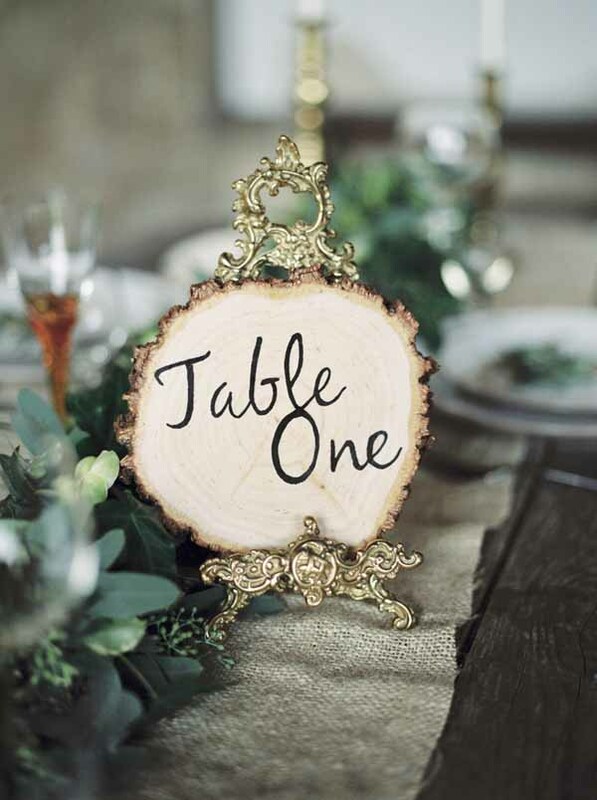 The team opted for a rustic wooden tree slice for the table number, held gracefully in a antique gilded frame. 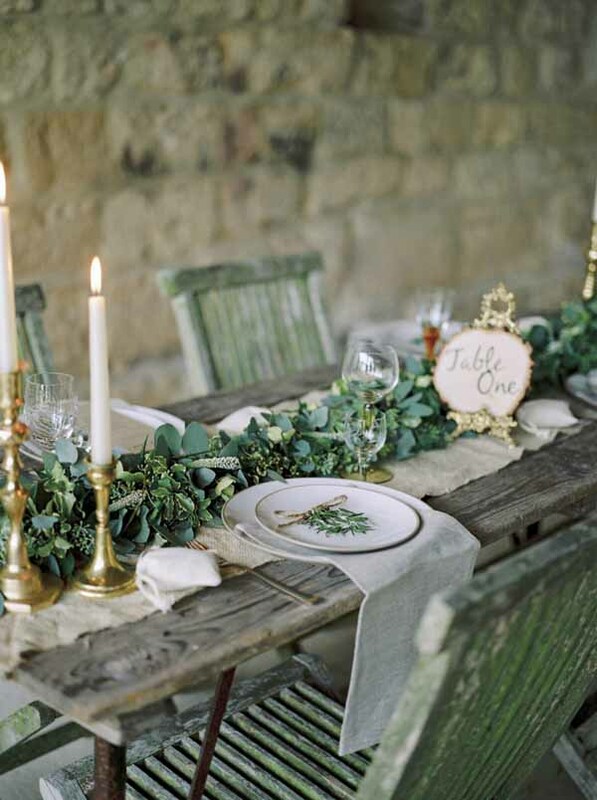 The contrast of both elements really does pull off a rustic elegant wedding theme, don’t you think? 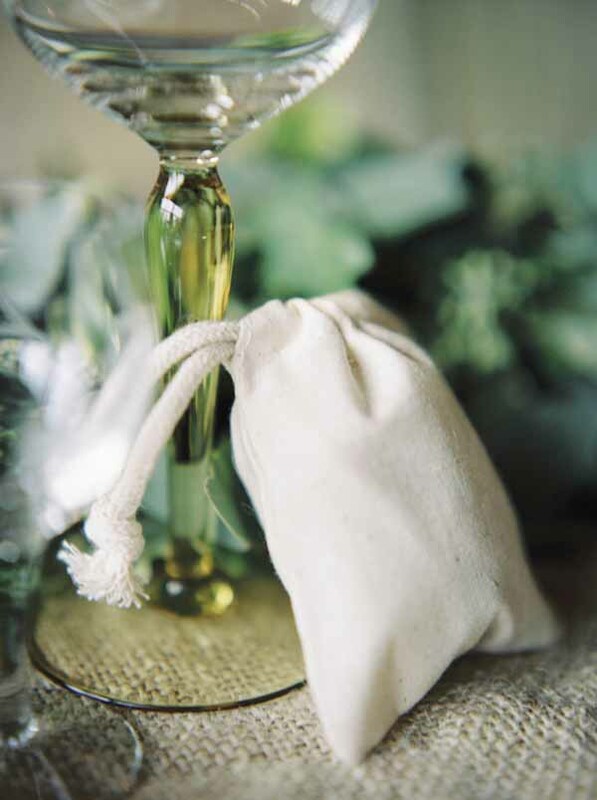 Natural linen wedding favour bags were a wonderful addition to the styled shoot and they can be filled with anything of your choice. 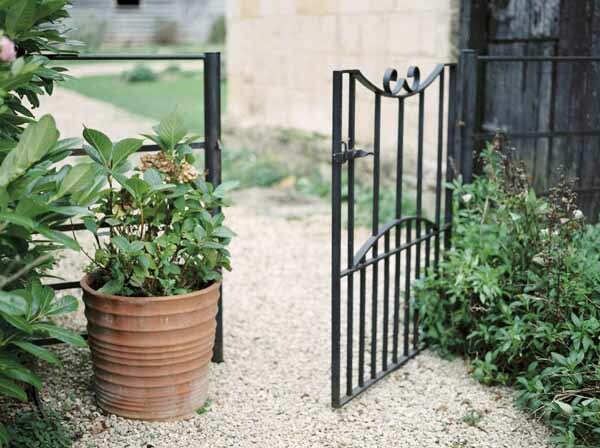 From seeds to boiled sweets – there are plenty of ideas. 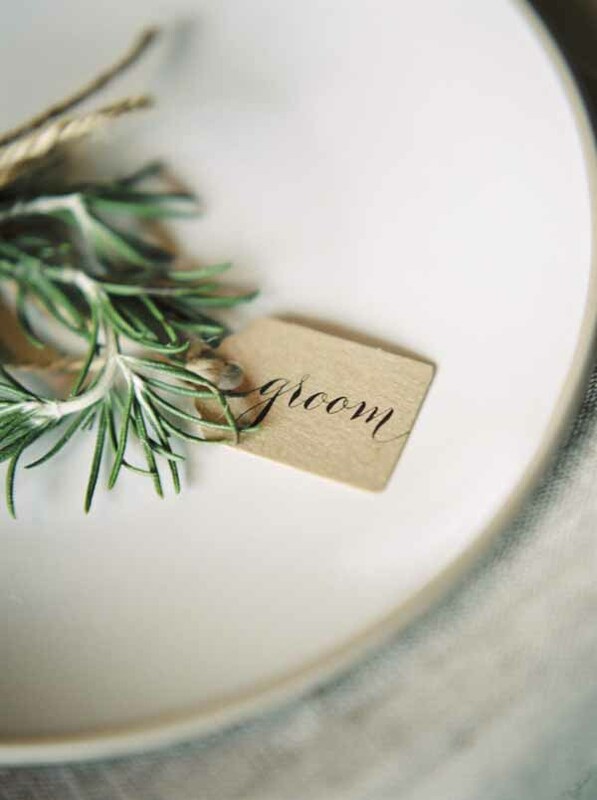 Herbs or dried lavender are a lovely option for a rustic elegant wedding theme. This is one wedding cake table with the ‘WOW’ factor. 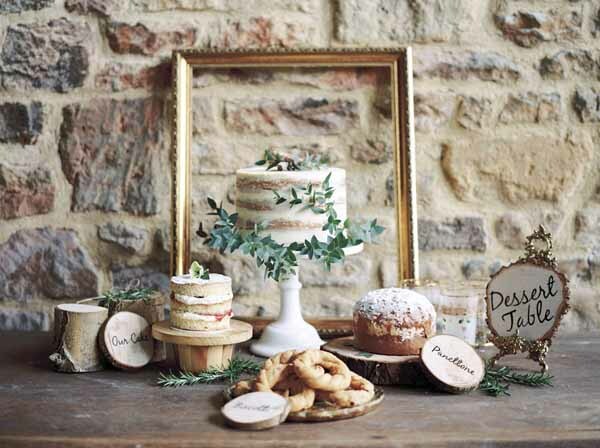 The antique gold frame offers the perfect backdrop for the collection of rustic wooden cake stands, and of course that delicious wedding cake! 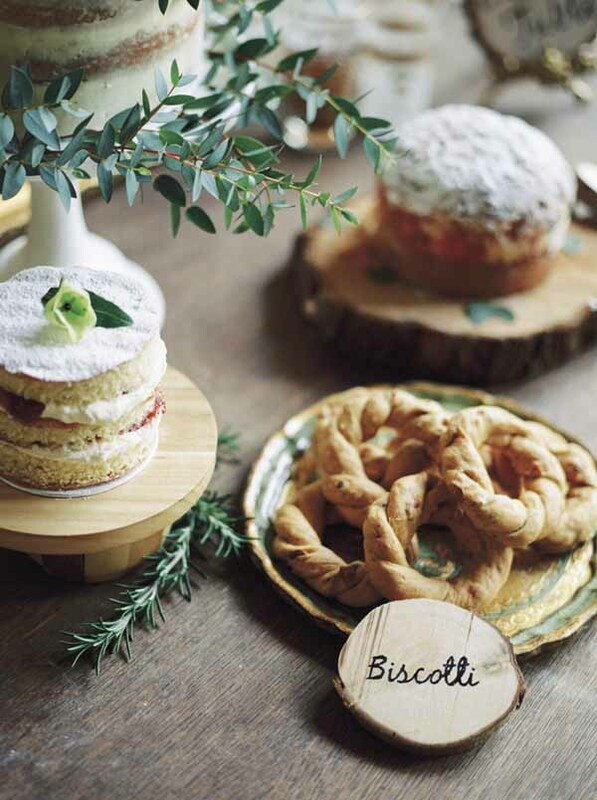 Take a peek at the rest of the images and indulge in the rustic elegant wedding inspiration. Prepare to swoon!